THE ORIGINAL AND STILL THE BEST! MULBERRY FARMS HORNWORMS ... THE QUALITY & NUTRITION YOU KNOW AND TRUST, THE TASTE YOUR PETS CRAVE! 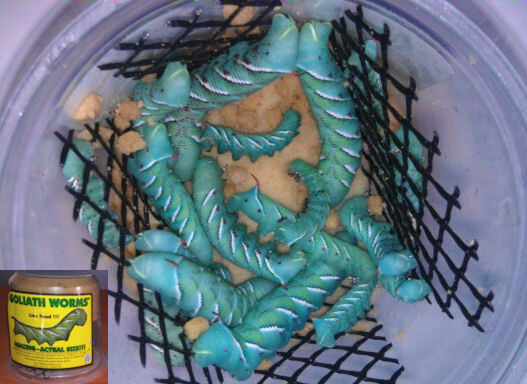 OUR hornworm cups have MORE WORMS than "others" offer!! You get a Superior Quality Product AND A Better Value -- and MORE HEALTHY, NUTRITIOUS WORMS for your pets to enjoy!